Another week is underway, and that means we get a look at the Nintendo Download Update treats that are on the way in Europe. This week's a bit of a corker, with high-profile DLC, an exceptional Wii download, RPG goodness on 3DS and some promising download-only games. Let's get to the details. Space Hulk (Hoplite Research, €29.95/ £24.99) - This title is based on the Games Workshop board game of the same name, and involves clearing out derelict space ships of hostile alien forces through turn-based strategy. It's a PC port, and we're still working on a review. Joe's Diner (Joindots, €7.99/ £5.99) - A first-person game with a slightly odd premise; you work 30 night shifts at a remote diner, while your activities somehow influence two feuding dead chieftains that you must help put to rest. Based on screenshots it looks like you complete busy work to maintain the diner, but we'll see how this stacks up in a review. 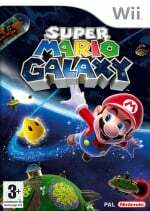 Super Mario Galaxy (Nintendo, €19.99/ £17.99) - Quite rightly regarded as one of the Wii's finest games and a high point in the Super Mario franchise, this wowed audiences in the last generation with its clever stage design, use of gravity and abundance of charm. It's a stone cold classic, and we said as much back in our 2007 Super Mario Galaxy review. [Mii Fighter Costume] Bionic Set (Nintendo, €0.79/ £0.69 for one platform, €1.19/ £1.09 for both) - Includes Bionic Helmet and Bionic Armour, for Mii Brawlers only. [Mii Fighter Costume] Takamaru Set (Nintendo, €0.79/ £0.69 for one platform, €1.19/ £1.09 for both) - Includes Takamaru Wig and Takamaru's Outfit, outfit for Sword Fighters only. [Mii Fighter Costume] Ashley Set (Nintendo, €0.79/ £0.69 for one platform, €1.19/ £1.09 for both) - Includes Ashley Wig and Ashley's Outfit, outfit for Sword Fighters only. [Mii Fighter Costume] Gil Set (Nintendo, €0.79/ £0.69 for one platform, €1.19/ £1.09 for both) - Includes Gil's Helmet and Gil's Armour, armour for Sword Fighters only. [Mii Fighter Costume] Tails Set (Nintendo, €0.79/ £0.69 for one platform, €1.19/ £1.09 for both) - Includes Tails Hat and Tails Outfit, outfit for Gunners only. [Mii Fighter Costume] Knuckles Set (Nintendo, €0.79/ £0.69 for one platform, €1.19/ £1.09 for both) - Includes Knuckles Hat and Knuckles Outfit, outfit for Brawlers only. 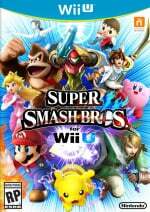 [Bundle] Mii Fighter Costume Bundle #6 (Wii U & 3DS) (Nintendo, €4.74/ £4.14 for one platform, €7.14/ £6.54 for both) - Includes all Mii Fighter Costumes listed above. [Bundle] Collection #6 (Nintendo, €15.72/ £14.02 for one platform, €20.12/ £18.22 for both) - Includes all Fighters, stages and Mii Fighter Costumes listed above. [Bundle] Bumper Fighter (Nintendo, €34.93/ £31.43 for one platform, €41.93/ £37.73 for both) - Includes Fighters (Mewtwo, Ryu, Lucas, Roy, Cloud, Corrin, Bayonetta), Stages (Suzaku Castle, Midgar, Umbra Clock Tower), new stage music, new trophies, profile icons. [Bundle] Stage Bundle (Nintendo, €10.45/ £9.45 for one platform, €14.45/ £13.05 for both) - Includes Stages (Dream Land (64), Peach's Castle (64), Hyrule Castle (64), Super Mario Maker, Pirate Ship (Wii U Only), New stage music. Space Lift Danger Panic! (Spingloaded, €1.65/ £1.29 until 12th February, normally €2.49 / £1.99, OR €0.80/ £0.65 until 12th February for those that have downloadedHeart Beaten on the same ID. Slice It! (Aksys Games, €5.48/ £3.98) - Developed by Arc System Works and COM2US, this is a puzzle game that'll suit those with strong visualisation skills. You use the stylus to slice up shapes in order to recreate smaller iterations, which provides plenty of challenge across the promised 'hundreds' of stages. We gave this a recommendation in our Slice It! review. Glory of Generals: The Pacific (CIRCLE Entertainment, €6.99/ £5.59) - CIRCLE returns with another release on the 3DS eShop, this time providing a follow-up in its wartime (and rather complex) strategy series. This aims to offer plenty of value for money, with over 64 campaigns and 100 generals aiming to school you in battle; unfortunately we think this is a poor effort overall. The Legend of Legacy (NIS America, €39.99/ £34.99) - If you want a game name that emphasizes the whole point of an RPG storyline, then Legend of Legacy seems like a good call. Developed by FuRyu, with hugely respected industry figures involved such as Tomomi Kobayashi (SaGa series), composer Masashi Hamauzu (SaGa, Final Fantasy XIII), and writer Masato Kato (Chrono Trigger), this title adopts formations in battles and is a campaign that can be tackled through seven perspectives from the core cast. We rated it very highly in our review. Heart Beaten (Spingloaded, €2.33/ £2.00 until 12th February, normally €3.49 / £2.99, OR €1.09/ £1.00 until 12th February for those that have downloaded Space Lift Danger Panic! on the same ID. That's everything for this week's Nintendo Download Update in Europe. Let us know what you're planning to download in the poll and comments below. I'll get Smash DLC characters. I wonder how long it takes to release Super Mario Advance 4 with e-reader levels in Europe? No discount on SM Galaxy Nintendo? I'll keep my Wii disc and wait for a sale. Smash characters for me, and possibly Typoman while it's discounted. However, I have to ask on behalf of my daughter (and not me - no, not at all): when are we getting a new episode of The Cat Mario Show? Surprising to see Space Hulk for Wii U. I played that game alot on Amiga 20 years ago. This is not the Amiga version, but a new game. We should establish a petition to make Bayonetta officially Luigi's girlfriend just to make Mario jealous. Space hulk very pricey! A year after the USA release. I'll wait for a review. Is anyone having promblems with the new sound sense Wii u app? Mine just keeps coming up with an error code? Why does Bayonetta cost 90p more than Corrin? @Luffymcduck I think we might be waiting a while unfortunately.We don't even have the first 2 yet. Space Hulk isn't great and I bought it full price on iPad two years ago for about £7. Super Mario Galaxy pricing is too high too considering you can get it 2nd hand on disc for about £10. @OorWullie Bayonetta comes with the Umbra Clock Tower stage whereas Corrin only comes with music. @OorWullie comes with a stage, like Ryu. Corrin only has a couple of Fates trophies and themes. €20 is too much for Super Mario Galaxy. So it's €45(one platform) to buy all the Fighters and stages in Smash. But that doesn't include any of the Mii fighters. @Grumblevolcano @TheLastLugia Cheers.I read ''new stage music'' as ''new stage''. 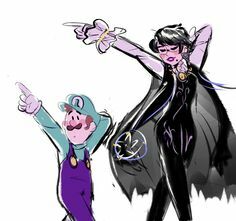 I've not bought any Smash DLC yet but I think I will buy Bayonetta.Bowser and Toon Link are my mains and I struggle with anyone else so I'm not sure she'll be suited to how I play but I'll give her a go. A. No single monetary value can be found on X in this instance, as X is equal to the value of enjoyment that one has when playing through Super Mario Galaxy for the first time. The question is thus unanswerable. Ah, expensive DLC and the usual Mario dross. Yep, nothing for me. @TheLastLugia There's already been several comments saying SMG is too much. You can buy it on Ebay for half that price and in some cases much less. The Emperor demands I take on Space Hulk, but I will wait for the NL review to make sure there is NO HERESY around. Super Mario galaxy for me! It's startling to see Wii digital ROMs at €20 when you compare that to remasters and compilations releases on XOne and PS4. Still salty about the lack of Goku. @whodatninja Bayonetta comes with a stage. Smash Dlc for me. Characters and stages only though. That bloody Smash DLC costs a small fortune. It'll probably translate to $50 for the cross-platform bundle. @Deanster101 Take it or leave it. The price is okay for such a great game. People only find it too expensive since Nintendo released the game as "Nintendo selects" for almost the same price a while ago. However, I don't understand why Nintendo don't use the half-price option in the first week. That was always such an alluring offer that I could not resist to buy the game again. I'll get Bayonetta for Smash on both platforms. Paying the extra €1 is a no brainer when already willing to pay for her in the first place. Smash Bros. really has cost an absolute fortune in the end though. Oh well! As for Super Mario Galaxy, I feel that the Wii v-console titles are way too pricey. This is why I keep my consoles and all games! @Splatburst When have they done discounts on the Wii games that was after the initial release? This should be expected. Happy to see there's a demo out for Typoman, I'd like to give it a try. They had some discounts after the initial EU Wii offerings. Pandora's Tower, Kirby, Xenoblade, and more. Some were 50% off and the others were 25% off. Punch Out Wii, Pokemon Park Wii (?) and now SMG were the only ones that haven't been discounted yet afaik. XC wasn't discounted but offered 10€ discount on XCX. But then, it went on sale later for 10€ making it free for those who bought XCX digitally. Finally something for the 3ds that good. Really? Didn't know that. Hurry up NOE! @Splatburst Wow, you guys definitely get it better than in NA. We got the first 3, then nothing. Legend of Legacy for me in the year of the RPG though I'm still ploughing through FFE from last week. How to Train your Dragon 2 has awkward controls but the graphics are alright. It might have been fun for younger gamers had the controls been slightly easier to master. Might still be okay at £6.99 for a child who has patience enough to persevere and enjoyed the movies. Just The Legend of Legacy for me - put about 6-7 hours into the demo & thoroughly enjoyed the adventure so far (with Bianca as my main & Meurs & Garnet as companions) so looking forward to the full game. Very much rpg based for me next month or two with this, PSMD, Bravely Second & Stella Glow to pick up. Space Hulk, Galaxy and most definitely Smash DLC for me this week. Especially that the variety of dlc characters is.. Meh, All white anime kids. No creatures and critters or villains. I already have the disc for Super Mario Galaxy, fantastic game. Otherwise I'll look at some Smash DLC. You know you're excited for Smash DLC when you vote for it without actually being in Europe! @Smokingspoon OK. Your profile picture looks exactly like someone who smokes stuff off a spoon. And your comment is like that of a gibbering junkie. Call us when you rejoin the human race. I can see why others are hopping mad today over this list. I should just copy and paste 'what a bad week'! Haven't downloaded a single game this year! I know they announced the Smash DLC for February, but I didn't expect it do launch right on the 4th! I'm so hyped!!!!! Bayonetta is one of my favourite games, and my absolute favourite game on PS3, and now she's coming to my my number one favourite game ever! YYYEEESSS!!!! @Sligeach Haha, did I hurt your feelings somehow? That's funny. My feet are well on earth when I say 130$ for ssb4 is a steal. And if you can't see the dullness of the character roster, you're very delusional. Oooh, Planes, hope that price makes it overseas. @Smokingspoon I'm very delusional then. And glad to be so if that's the define of it. @TheLastLugia There are cool characters still, like bowser jr. wiifit trainer(not counting the 3rd parties). But on the whole, it's... Mostly japanime kids. Nothing wrong with those, like, I love Robin, but there's too much of it. Not mentioning how little villains there are. @Aurelis Agreed we need this game in Europe asap along with Friends of Mineral Town and More Friends of Mineral Town. The US have had the better downloads so far this year. Bayonetta for sure. My first fighter purchase. So far only got the pirate ship stage and that was worth the money. Nothing for me this week or so far this year, come on NoE. I don't know if any Americans can answer this. If I download Galaxy, will it be able to unlock Rosalina on Mario Kart Wii? @PiplupJ Probably not because the Galaxy data is saved on the WiiU section of saved data, while Mario Kart Wii is saved on the Wii memory card or section. If Mario Kart Wii comes to WiiU download then it's more probable. @Dankykong Wii digital downloads actually save to both the Wii U and Wii sections so it should unlock Rosalina. Winx Club: Saving Alfea, bargain! Curse me buying a physical copy for double that prince! Plus more Smash Bros. DLC! YAY! 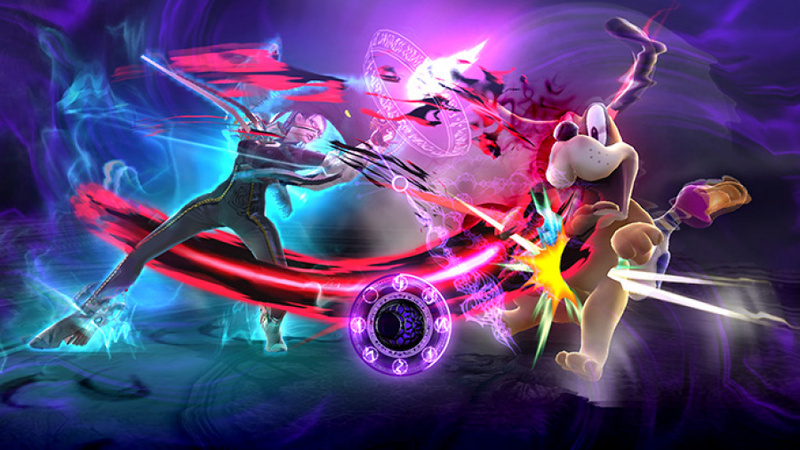 Hrmm, I'm surprised the Smash DLC will be coming out already, figured it would be at the end of February. I was waiting till there was a massive bundle for the smash bros characters. Even though I don't have the 3DS version of the game it is worth paying €7 just to have them encase that I do end up getting it cheap.